Under Russian law, rights and duties of parents in relation to children never changed, whether the mother and father in marriage. So you have the right to collect child support for the child with the civil husband. Prove the paternity of your civil spouse. If he volunteered to make his name in the birth certificate, additional confirmations are required. In the case where the birth certificate is blank instead of the name of the father, or the document has not yet been issued, contact the court for recognition of paternity. You may need a genetic examination. The claim must be submitted to the district court at the place of residence of the defendant, i.e. the alleged father. In recognition of your civil husband the father through the court will revise the birth certificate of the child that it was specified by the father. Try to negotiate the amount of alimony. They must be at least 25% of income for one child, 33% for two, and 50% for three or more children together. If you are the civilian spouse come to an agreement, fill out the agreement, sign it, and assure at the notary. It will possess the same degree of legitimacy that the court's decision. 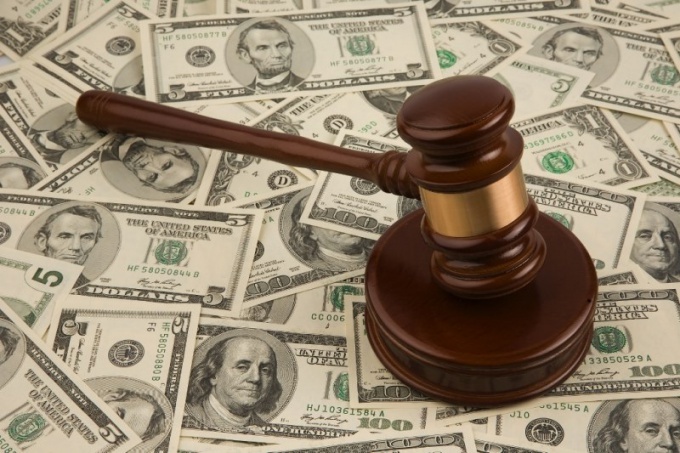 File a claim for alimony in district court. If you wish, you can specify in it, in what form you would like to receive support in the form of a percentage of the earnings of a spouse or a fixed amount. To a claim attach a copy of the birth certificate of the child and the excerpt from the book on which the child must be registered in a single housing with you. Will also pay a state fee in the amount of one hundred rubles for your claim. Be prepared for the fact that the husband may file a counterclaim, to determine the child's place of residence. However, in most cases give custody to the mother. With only ten years of a child's opinions can also be taken into account by the judge. If you do not agree with the court's decision to award alimony, you may file an application to appeal the decision to a higher court.